On Dec 17, 2014 a ribbon cutting was held opening a new area of Mission Trails Regional Park to the public. From Pomerado Road in Scripps Ranch drive east on Stonebridge Parkway about 4 miles and you will come to this entry to a large parking lot. The views from west of our park are beautiful up there. Many thanks to Gardner Grady for reformatting our logo. Welcome to Mike and Cathy Overy, our new “Live-in” volunteers. You may find them walking with their boxer. In Attendance: Carol Crafts, Karen Larsen Gordon, De Anne Erickson, Terry Callan, Nancy Ujazdowski and Phoenix Von Hendy. A quorum was present. Bob Crafts attended as a guest. -Minutes submitted with one name correction from the November 3, 2014 meeting were moved, seconded and passed. -Treasurer report: $16,632 total checking/savings. $1,220 income with $1,180 in expenses. $799 in checking $15,833 in savings, with the memorial donation of Chris Yandall pending. Memberships continue to be collected for 2015. -Tracking report: The most recent survey was conducted 5 days post rain and noted significant deer sign and additional wood rat nests. -JPA annual meeting is scheduled for May 18th. Time is TBA. – The Friends website is current and Andrea Yandall has been paid. – New live-in volunteers are on site, and are equestrians and dog owners. – No ranger’s report has been made for this quarter. – County of San Diego voted on December 3, 2014 to purchase about 100 acres in order to connect the Santee Lakes Trail with Goodan Ranch. – The ribbon cutting for the grand opening of the West Sycamore Staging Area of Mission Trails Regional Park was attended by Carol Crafts on December 17th, 2014. – Gardner Grady created two designs for a new logo for letterhead. The logo with the boxed lettering was unanimously favored. — The Thornmint working group met January in the USGS conference room. Carol, Karen and Victoria Marshall attended, as well as Maureen from staff. Carol spoke with Patrick McConnell from the Center of Natural Land Management regarding purchasing and placing a weather station in Goodan Ranch to facilitate better data collection in correlation to future San Diego Thornmint surveys. Chris Preston is researching the most recent data of plant counts. – Sunday, May 18th is the Sustainable Scripps Ranch event. Mark your calendars. – Carol is soliciting articles for the March 1st Sycamore Sage. Acorn Digital Camera and accessories: $325, CINCH brochure: $356, Newsletters: $100, Rakes: $22, Movie in the Park: $500, Poway Days Parade: $500, and social media: $230. Total: $2033, as well as representation at the Scripps Ranch Community Fair, San Diego Tracking Team monitoring and attendance at weed management and endangered plant monitoring meetings. – An inquiry will be made regarding the status of the donated rakes and whether new shovels are needed. Additionally, a new trail may have been developed leading from the Sycamore Canyon Staging Area into the Hagge property. Friends would like a status report. Next Meeting: May 11, 2015 at 7:00p.m.at Coco’s Restaurant on Poway Road. Are you using the new rake we bought you? Carol yes we are thank you, the problem with new rakes and shovels left in the staging areas is they are always stolen……we do not leave anymore in the Hwy67 staging. Could you send me the schedule of programs for Mar, Apr and May please. Justin can send you our program schedule, He should automatically do that by now. When do you think the new trail (east of Poway staging area bathroom) will open? Do not know when that trail will be built… trail crew lost their senior ranger and the senior ranger just retired, may be a while? What are the names of the new live-ins? Cathy is a long retired nurse and Mike is a retired construction superintendent Things are going well! You are welcome and please thank the Friends for your generous gift card for our mew completion! The San Diego County Board of Supervisors Wednesday approved the purchase of 345 acres of open land for around $5 million to extend trail systems and protect habitat for the California gnatcatcher. 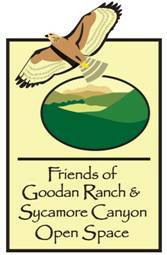 The smaller of two purchases, about 100 acres for the Goodan Ranch Preserve — west of state Route 67 near Poway — is part of an effort to connect trails in the area, according to Supervisor Dianne Jacob. “The idea is to have that connection between Mission Trails (Regional) Park all the way up through Santee Lakes to Goodan Ranch — that north-south connection,” Jacob said of the $810,000 purchase. The supervisor said she has been working with the military to allow a public trail to cross the eastern edge of Camp Elliott, which is in the hilly area north of Santee and east of Marine Corps Air Station Miramar. According to county staff, the trail connection would also serve as a corridor for wildlife to pass through. The Goodan Ranch property is a “prime habitat” for the gnatcatcher, according to a staff report. The bird, which was listed as a threatened species in 1993 by the U.S. Fish and Wildlife Service, also lives in the area of the second acquisition, around 240 acres in the Escondido Creek Preserve near Harmony Grove Road in the North County. The land is part of a network of preserves that consist of about 1,400 acres. In addition to the $4 million purchase price, about $300,000 will be spent on surveys, installing signs, erosion control, vegetation management and staff salaries, according to the county. Friends and staff attended a third Management Strategic Plan (MSP) Rare Plant Monitoring 2015 Pre-Season Coordination Meeting on February 11th. The efforts to collect data are being coordinated by the San Diego Management and Monitoring Program (SDMMP), an agency funded through TransNet revenue. Much more information regarding SDMMP can be found at sdmmp.com. The focus of the meeting was to review protocol for surveying threatened or endangered plants throughout the County of San Diego on conserved lands. The ultimate goal of the new protocol rollout is to develop baseline surveys and to inspect and manage occurrences. In 2014, SDMMP field tested the protocol in several protected areas, and is now striving to get the monitoring system established prior to a large scale funding becoming available for management in 2016.
oodan Ranch/Sycamore Canyon Open Space Preserves are home to at least 6 of the 28 species being documented, and of particular interest are San Diego thornmint (Acanthomintha iicifolia) and Willowy monardella (Monardella viminea). Happily, both populations have had previous surveys conducted by SDSU in the 1990’s and by Friends beginning the early 2000’s. SDMMP has developed a Master Occurrence Matrix to include documentations since 2000. As it has been noted that both populations have been impacted by invasive plant populations – non-native grasses and star thistle – we are looking forward to learning specifics for future management actions. Additional information about our special species can be found on the California Natural Diversity Data Base (www.dfg.ca.gov), California Native Plant Society (CNPS.org) and the San Diego Natural History Museum’s Plant Atlas (sdnhm.org). – Data will be inputted using ArcGIS – a geographical information system or GIS – and can be collected using electronics or traditional paper entries in the field. Friends are looking into acquiring tablets to use in our surveys vs. having to manually enter paper entries into an Excel spreadsheet. – New protocol procedures are being put in place regarding boot weed seed dispersal prevention, Argentine ant assessment and regarding perimeter caution to reduce trampling impact on the plant species. – Cryptogamic crust and thatch, plus mammal species activities (feral pig, ground squirrel and pocket gopher) are all part of the information collected. Volunteers are being sought for field training! It will be held March 3rd from 9:30a.m. to 2:30p.m beginning at the USGS facility at Liberty Station and finishing in the field at Mission Trails Regional Park. Please let Karen know if you are interested via email: karentracks@yahoo.com.